“Just be yourself” is commonly stated dating advice. But what does that actually mean? What if you’re feeling nervous? What if you are desperate? 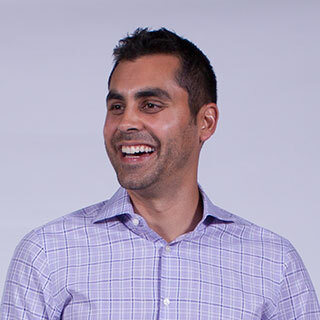 Join Dr. Aziz as he interviews Dr. Campbell about how to show up authentically in dating so you can connect, find love, and create outstanding relationships all by being yourself. Click here to learn more about Dr. Susan Campbell’s outstanding work on honesty and confidence. 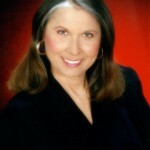 She is the author of numerous books, including Getting Real and Truth In Dating. Welcome to our show and thanks for tuning in. I’m excited to be with you here today and I’m so curious about how your progress is coming. If this is the first episode that you’re tuning into then I strongly encourage you to go back to the very beginning where we talk about what is social anxiety, what is confidence, what are the basic steps you can take and if you’ve been with me on this journey over these last months then I really want to know how it’s going for you, where are you progressing, where are your wins and successes and where you’re stuck, where you want more help, or you want to know where new distinction is that you can learn that’s going to help you get to the next level or perhaps a new action that you need to take that’s going to build up that confidence and courage. Best way to keep me posted is call the show hotline (206) 338-3176 or go to shrinkfortheshyguy.com, send me a message to the site. I love reading notes. I can get emails there, you can leave me a voicemail there and we can just stay in touch because I want to know how this is working for you. You specifically, you matter to me and I want to make sure that this stuff is helping you along your way and also to further help you along the way. Today, we’re going to finish up our amazing interview with Dr. Susan Campbell where we’re getting – she was talking about authenticity with me last week, how to be your real self, now we’re directing that towards dating and relationships. There are so much of us have this fear, right? I did for years. If I’m my real self around an attractive woman that’s going to end quick and we’ll learn how to shift that, how to find that real self, not that nice guy self that you’re just trying to get her approval and not you trying to put on some pick-up artist thing but just your real authentic self and how easy that can be in some ways. So, let’s jump back into that interview with Dr. Susan Campbell now. Dr. Aziz: I think one challenge that a number of the guys that I work with experienced is they’re sort of self-identified as the nice guy. They’ve watched something, read something that kind of speaks to them like “Oh, that is me” and so they tend me especially with everyone but especially with a woman they’re attracted to they will be cordial and nice and polite and not offensive and ask her questions and be interested in her and share about themselves and from their perspective be fully honest and kind and then at the end of the time or in the phone call the next time they talked to her after the day, they get a pretty clear indication that she even will outright tell them, “You know I see us more as friends” or “I don’t see this going any further.” And then they’re so frustrated and they say, “I was being myself and how come it’s not working.” And I’m wondering if you have thoughts on what’s happening there like what is blocking the connection from flourishing. Dr. Susan: You know that nice guy pattern, it may feel like just who you are but if – I mean being kind is one thing but the nice guy pattern is what we’re talking about here. We’re talking about almost like compulsive niceness. You just go through life that way and you don’t differentiate much from somebody and say, “Well, have you thought about it this way?” That would be the — but you can still be nice when you say to a woman but have you thought about it this way or hey, that’s not quite the same as what you said over here. Like be willing to point out just little discrepancy in the way the conversation is flowing. So, what I want to ask these guys is where are you at with risking emotional pain? Because I think that the emotional pain theory applies particularly to the nice guys in the world, in other words they haven’t mastered the ability to step into a situation where the results might be unpredictable or possibly painful so it bears looking into. It bears looking into what’s your investment in being good and nice like what would happen if you weren’t and a lot of the nice nice boys were good boys with their parents and maybe there was a sneaky side to them that did let’s say more individuated things but they’re often in front of people not just parents but school authorities, whatever, they develop a persona to get along and there was some part of themselves that got pushed underground. So, the nice guys, it’s really – it bears fruit if you look into what your fears are about emotional pain and where this might have come from and perhaps you were so successful at being the good boy that you never ever, you never even developed something else, a deeper feeling about life. And so, it’s a complicated situation here. It’s not a one size fits all but the closest to one size fits all answer that I could give is look into what’s my relationship to emotional pain? Am I afraid of being abandoned, rejected, controlled, ignored, shamed, overwhelmed, and inadequate? These are some of the commonest fears that human beings carry and those are just labels. But one of those labels might speak to you. And so, if one of those labels fear of being rejected or fear of being ignored or insignificant or something, if one of those speaks to you, begin to be curious about how that showing up in various parts of your life because the nice guy persona, what you’re showing people of yourself is just a tip of the iceberg and maybe you don’t even know what’s underneath the water in your own iceberg. So, I would say you need to get to know yourself and more of your aspects if you’re going to become a more interesting person. Dr. Aziz: Absolutely. And there’s so much good stuff there and one major thing that you said that really just resonate with me is that, it is a persona, it is a pattern that someone runs because it’s effective at some point in their life. But then it gets as a persona being the mask, the mask gets fused to their face where they think that’s who they are. Dr. Aziz: And I asked this question from a place of curiosity for the people that I work with but also I experienced that exact scenario that I described about thinking I was being honest and being myself and being really nice and just like you said I didn’t even know what else was there. So, it’s like not only am I hiding it from others but I’m hiding it from myself. Dr. Susan: And you know that truth skill revising could be used here to develop the deeper parts of yourself is after an interaction. You realize that maybe you kind of seem to– oh, just – I’ll give you one example, kind of seem to agree you’re smiling and nodding with something. But later on, you have some, almost like critique of what the other person said or some differentiation some way that you are actually seeing something from a unique perspective. That’s not the same as this person that you were smiling and nodding to. If you can get now – if you see this, it would be better if it’s an ongoing friendship where you agree with some person or some people in your life, it could even be some male friends, you agree that if you see yourself kind of holding back on anything that differentiates you from the other that you’ll go back and revise. You’ll say, “You know we have that conversation. You know there was some way I didn’t want to seem picky at that time.” But a picky thought came up to me and I want to mention it now because you need that you, you guys who are nice guys, you need the practice in saying something that’s not in agreement or not in perfect total harmony with what’s in front on you. Dr. Susan: So, if you can find a differentiating comment, go back and say it later. Now in a dating situation that would not probably be that appropriate. But find somebody in your world that — I call them practice partners and I say to learn these truth skills and to learn to be a more honest human being, you need one or two willing practice partners or maybe a men’s group or something where you agree to revise some of your nice guy behavior after the fact. Dr. Aziz: And the reason I had that is because I was like well, okay. I can challenge someone’s perspective or offer something different. But I don’t want to say I disagree. I mean, that’s really – you know that’s going to ruffle some feathers and as I did it, I found that you can say in such a way that it doesn’t even, you know, you say “Wait, I disagree blah, blah, blah” and it was really not a big deal but it was a major step for me. You know there’s one question I want to ask about what you said and this is gets into the world of, you know if you go to the internet and if you’re guy and you say I want to learn how to meet women, you’re going to find a pick-up artist teaching and I think they provide something valuable for two things. One they encourage you to “Hey just get out there and practice” which is great advice. Dr. Susan: – or cool guy or something. But go ahead. I like where you’re going. Dr. Aziz: And so it’s like one thing is, well, here are sort of the tenents or ideas about how to be. Being the nice guy and sharing all your common interest and being really attentive that’s not working. So, here’s what we need to do. You need to be more mysterious. You need to challenge. You need to be a challenge. You need to like flirt with her and then move away and let her come after you. You need to be unpredictable. So, one time she comes in and sits on your lap or something, you hug her and another time you get up and you push her off and make sure you kind of tease her a lot and let her know like she’s kind of working for your affection. This sort of the one of the main approaches of that in a lot of ways it’s effective I’ve seen but I also think that there’s like when I’ve been working with men, I think there’s a better way. But also, there’s how to capture the essence of that but also not doing in a way that feels like kind of gamey or inauthentic in a different way. Just being able to say something very present centered about what you notice, risking that it might create discomfort in another person because when people get unnoticed with their refined eye, like you’re able to actually see the other person, you’re not some nervous in your own self and so self-preoccupied that you can’t see her. So, if you say things that you notice about the other person, just objective reporting like a video camera, that gets her attention, that risks, that gives you the risk of doing something that might make the other person uncomfortable but like it’s pretty safe and it brings you more into the present moment. So, I think that’s like a really good tool. I call, you know I have a whole chapter called Flirting with Presence, just saying something about your present observation is hugely powerful for women. Dr. Aziz: Absolutely and I think one thing you said in there just tied so many things together for me. We’re going to pause for just one moment right now and take a quick break and then get back to the conclusion of our interview with Dr. Susan Campbell. ** Do you want better self-esteem? Do you want to feel good about who you are on a daily basis? You may not know this but loving yourself is actually a skill. It’s been research in psychology for decades and there are dozens of tools you can use to start loving yourself more right now. Dr. Aziz is so passionate about this that he wants to give you three of these tools for free in his new e-book in audio training program called 3 Ways to Truly Love yourself in two weeks. 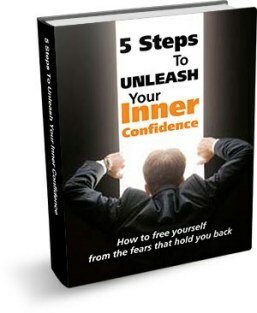 To claim your free copy, simply go to www.yourconfidencecode.com. Dr. Aziz: You said doing something that willing to take the risk that might make the other person feel a little discomfort. Dr. Susan: And that will backfire on you because you become boring. Dr. Aziz: You become so boring and you’re not yourself and versus if you said something or pointed something out of a person or expressed a thought that you had or commented on the thing you heard that you find attractive or kind of played with her, teased her about something that she contradicted herself or any of those things, you risk her feeling some discomfort. Dr. Aziz: And those are the things that make the interaction exciting or fun or engaging or genuine. Dr. Susan: That’s true and again, you might use the – the revising truth skill is a little bit like doing a Monday morning quarterback on your date. Let’s say you have a date or you just have an interaction or you have an evening where you’ve met three different women or something in day, you know Monday morning quarterback is when the team looks what they did on the Sunday game and says, “Well, you should haven’t gone long here and you shouldn’t done this and so forth” and so now we say that to ourselves but what we do then, we don’t have to go back and revise it that the occasion probably isn’t going to present itself. But we realize oh, these are actual things that I thought but inhibited because I didn’t want to make the other person uncomfortable. So, you want to look for those. When you do a Monday morning quarterback on your date, you look for the things that were somewhere down there, maybe just under the surface. They didn’t come up because of your nice guy habit or your other habits of not wanting to offend. But repeat those inside in you and you go, “Okay, that was an actual thing that I noticed, that I inhibited.” And honor those things and begin to imagine yourself saying more of those things and that is an effective behavior change tool. If you can imagine yourself saying it, the next time or the time after that, you’re getting closer and closer to being able to actually do the behavior in real time. Dr. Susan: He’s willing to face up to his possible emotional pain, okay, so what would he do? Dr. Susan: How would he make that initial approach just using his either – so here’s what we’re talking about just using what’s going on in you, the man right now or what you see in the woman right now or what you observe about your situation. So, I remember one time I was in a long line at the post office and I’m standing there and I was single at that time and there was an attractive man right behind me. Women need these techniques too but pretend like I’m the man. Dr. Susan: Okay, so there’s an attractive a woman right behind you and the context is they’ve got one person at the window. So, the line is just getting longer and longer. It’s like a Friday afternoon or something. So, you just like say something about the environment. You know I happen to have a failing fluent sense humor I guess and I said “Well, next time I come on a Friday afternoon, I bring my sleeping bag.” And then he cracked up and there are a couple of people around cracked up and just — making a comment about the setting is also possible just to say it as a kind of – you know you can say that to anybody so that’s one. You gave a good one when you were talking about your handshaking. You can go up to somebody and say, “As soon as I noticed you, my heart started beating faster so I thought I better come over and talk to you so I can find out what that’s about.” I mean that’s something that’s true. It’s intriguing to some women like wow. That’s bold. Dr. Susan: This man comes right up to me and says his heart started beating maybe I better pay attention here. Maybe this is a message. So, there’s that and then there’s the setting you can comment on, there’s your own like what’s going on in your body, your body awareness or even a thought you had. You know I look at you and oh, you look like – well, first this is more about the other person now. You look like somebody that I would want to know. Do you have – would you be willing to after you check out, set outside for a few minutes and have a chat? You know you make a bid. You’re making a bid for like an action. Dr. Aziz: You know I love it because I think there’s got to be some people listening who hear that and they’re just sort of like “Oh, my god. No way! Absolutely for sure she’s going to think I’m…” and then insert your fear there. I’m needy or desperate. Dr. Aziz: And our response is first of all, wow you are being different and the nice guy approach is not working and it’s trying to be like everyone else and so, wow you’re being different but you’re not being different in some kind of weird pick-up way where you’re trying to act the cool guy, you’re being different by being yourself and when you’re fully being yourself, you are different because you’re unique and man, I found things were a lot easier when I just started with this approach. Because the typical approach to dating which I’m sure you see in a lot is like “I’m going to keep my heart, cards really close to my chest. I’m going to be really cool or really attractive or really amazing and not reveal anything unpleasant.” And way for them to take the risks and then down the road when we sleep together or you we want to be in relationship then I can let some stuff slide out. But you know this is really coming out from where like what if I just be authentic from the beginning. I don’t have to kind of dance around it like ‘Wow, I notice you. I want to have a conversation with you” and I found when I started doing that, the results were powerful and quick. Like it just became a lot easier to meet people and the world became a more accessible friendly place and I think the biggest thing is just a willingness to try, it occurs to try. So, maybe as we get closer to end of our time here, what give – any thoughts on the courage piece, the courage to be vulnerable, the courage to be honest like if someone’s on board with what you’re saying and they’re like yeah, that sounds intriguing but then there’s that fear that they need to work to overcome. What thoughts do you have on how to build that courage? I mean, that is just an innocent friendly thing. But we put so much heaviness on it around all the stakes. If she says no that means that I’m going to get nos for the rest of my like, that this dating thing is hopeless and I’m a failure. So, there is a little bit of inner coaching or at least having an aim. You know you have to these practices that aren’t always easy. But remember that the aim is to be a more relaxed, to have a more relaxed friendly world and somehow take it a little bit beyond your own ego. We can contribute to making the dating world safer. Because right it just breaks my heart how many people say to me things like it’s a jungle out there. I hear that phrase and it just makes me want to cry. So, think of yourself as a friendliness ambassador. I mean you have to take risks so. You can’t just be nice guy friendly but I just see an interesting person and I want to go up and talk to him. I can’t say anything that’s going to completely take away the pain, what you need to do like we’ve been saying is take on a genuine curiosity about the fact that you have fears and what they’re about and then a tenderness toward that party yourself that does fear emotional pain because that’s probably going to be there all of your life so you might as well learn to be with that party yourself and be gentle with it. Dr. Aziz: Absolutely. I mean, there’s always the next level. It’s funny when I work with people and they’re really struggling to maybe even make friends or date and then they start to and it is like “Wow, this is great” and then “Oh, wait.” Now there’s like the intricacy of creating a dating relationship and the stakes, there’s more potential for pain now. I don’t really love her. What happens if something happens now? You know at the highest level, I’m strongly committed relationship with my wife and now we have a kid but then there’s always the reality of “Well, we’re going to die” and so there’s always that level of something. There is pain out there. It’s part of life. But I hear the message loud and clear as you have to jump in, you have to get into the field and play and you will get hurt but you’re also going to be fully alive and I love that being like a friendliness ambassador. It’s like turning it from like “I’m doing something weird or wrong” to well, I’m actually being the way in the world that I want the world to be and if someone is not able to do that or wanting to do that, that’s okay. They’re not able to meet me there. But I’ve done nothing wrong. If anything then maybe perhaps they’re struggling to be authentic themselves in their life and it just totally flips the script and gives you a lot more power. So, I just love that message of inspiration. Dr. Susan: Yeah. And remember also, most approaches you make with most people, they’re not meant to go on very long. I mean, there’s not going to be like a perfect match between you and a lot of these people and most dating relationships are not going to go beyond three months of dating because once you get to know each other you might not be about the same thing or you might not be at the same level of awareness and so, you can’t talk to each other if you’re not at the same level of consciousness so those things are important. So, keep in mind too that you’re not just being judged by the other. You’re assessing what is the appropriate relationship for these two people and most of the time it is friends rather than husband and wife or something going through life together. So, there’s going to be a lot of nos and for good reason because not every two people are a perfect match. So, that’s sort of to have to be taken in stride as well. Dr. Aziz: Absolutely. And I feel like there’s – you seem like a fascinating person. I feel like I’ve just scratched the surface of everything you have to share and if someone listening who wants to go deeper, who wants to learn more about your thoughts, how can they find you, connect with you where you can share a little more about ways people can learn from you? Dr. Susan: Well, if you go to Susancampbell.com that’s my website, you can click the link right at the top of the page where it says something about if you want to develop boldness and self-confidence, you click that link and you’ll get a free excerpt from my book about building self-confidence. It has quite a bit of the stuff that you and I have been talking about in it. So, you’ll get a free e-book, sent to your inbox. It actually comes to me and I have to send it so it might take 24 hours to get to your inbox and you’ll be subscribed to my newsletter Getting Real with Susan Campbell and when you get my newsletter you’ll see that I have a free group coaching call once a month that people can just ask me questions. So, I like to be accessible to people and of course I give workshops and seminars and private coaching to. But there are things you can do that don’t cost a dime too that just get you started on this path and of course get the book Truth in Dating. That’s an amazing book and even if you’re not dating, even if you’re already a couple, you should be practicing that stuff. Dr. Susan: What it’s all about, how to build a solid secure inner sense of yourself while building a solid secure honest intimate relationship. Dr. Aziz: Good stuff. Thank you so much for taking time and sharing so many useful helpful insights and I just appreciate your sense of humor and clarity with all this stuff. So, thank you so much. Dr. Susan: Okay. I enjoyed talking to you a lot, Aziz. So, carry on your good work too. Dr. Aziz: That brings us to the end of the interview and the end of our show. But we can’t end without doing one thing which is your action step. Dr. Aziz: Today’s action step is to be more real with someone like preferably a woman. If you’re a man and you’re listening, I know someone who listen to the show, mostly its men who listen in the show, find that woman that you’re not being honest with and just take some examples that we talked about in this interview about how to bring more of yourself out there, where you’re holding back, playing small, trying to get people to like you by not revealing your real self and when you find that spot, take a risk, step into it and be more of yourself. Be more expressive and just see what happens. Take it as an experiment. Don’t take it all about you. It’s just the world giving you information for you to grow with and evolve with and keep moving towards who it is that you want to be in dating, in relationships with women, with your work, anywhere. Take that risk and do it today. If you’re listening to the show at night then do it tomorrow. The more you do this stuff, the more action you can take, the more you’re going to transform your entire life. And thanks so much for joining me today. I’m excited to speak with you next week and in the weeks to come and until we do speak again, may you have the courage to be who you are and to know that you’re awesome. **Thanks for listening to Shrink for the Shy Guy with Dr. Aziz. If you know anyone who can benefit from what you’ve just heard please let them know and send them a link to ShrinkfortheShyGuy.com. For free blogs, e-books and training videos related to overcoming shyness and increasing confidence go to http://socialconfidencecenter.com. All music is licensed or provided royalty free.